The firearms manufacturer Colt Defense has filed for bankruptcy protection aiming to cut its $355 million debt. The company has struggled financially due to waning sales and the loss of a key contract. The company hopes filing for Chapter 11 bankruptcy court protection will allow an accelerated sale of its business operations in the US and Canada, according to a Colt statement issued Sunday. The company needs to reduce its debt burden and generate proceeds to repay some of its creditors. Colt has secured $20 million in financing from its existing lenders to continue operating while in bankruptcy and expects to remain in business after the restructuring. “The plan we are announcing and have filed today will allow Colt to restructure its balance sheet while meeting all of its obligations to customers, vendors, suppliers and employees and providing for maximum continuity in the company’s current and future business operations,” Keith Maib, Chief Restructuring Officer of Colt Defense LLC said. In November, Colt got a $70 million loan from Morgan Stanley to help make an interest payment. However last month, the company missed a $10.9 million payment to holders of its $250 million in bonds. Colt has been in a financial meltdown since 2013, when its rifle sales started to slow and it lost a key contract to supply the US Army with M4 rifles. 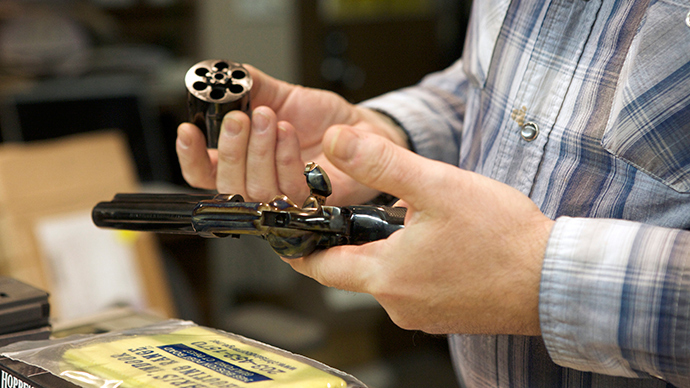 Last year Colt’s sales of sporting rifles and handguns fell 30 percent. The company developed the pistol it calls‘the gun that won the West’in 1873 and in the late 1990s and early 2000s enjoyed success as the US military’s sole supplier of the M4 line of firearms widely used by front-line troops. Colt Defense previously filed for bankruptcy protection in 1992, the company emerged again two years later. One of the leading firearms manufacturers, Colt has supplied customers in the United States and throughout the world for more than 175 years.